Probably, after completing the second wave in the form of flat pattern, Index started forming extension inside the third one. Yesterday I closed my buy orders and plan to start buying again only after correction by placing a limit order. 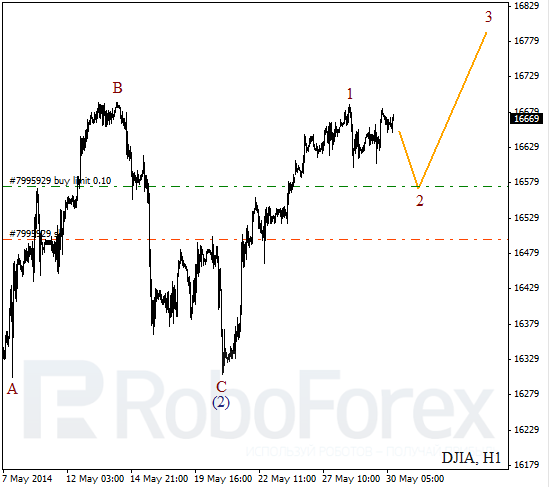 As we can see at the H1 chart, after finishing impulse inside wave 1, Index started new correction. Possibly, price may test local minimum during the day. 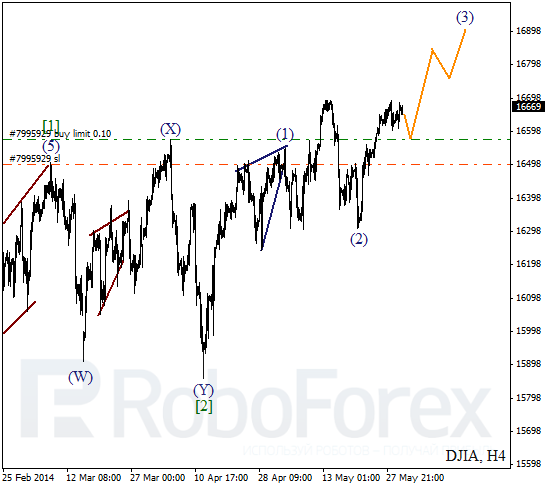 If later instrument forms initial ascending wave, I’ll enter the market and start buying. It looks like Oil is reversing downwards. 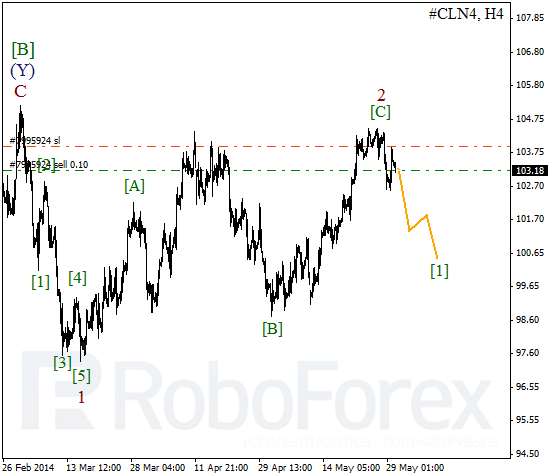 On minor wave level, price started falling down inside the first wave. After completing local correction, instrument is expected to continue falling down. As we can see at the H1 chart, after finishing initial descending impulse inside wave (1), price started new correction, which may have already completed. Probably, market started the third wave; right now price is forming the first wave inside it.